Deadline to apply is Feb. 1, coming right up! Curaumilla pictures are in an album on my Facebook page. You’ll have to friend me to see them. It’s remote, so beautiful, and has a wood and a soda kiln. It’s off the grid with power by generator and right on the ocean. People there are welcoming and helpful. A great residency if you want to do wood and soda. I loved the people, the place, and the time there. 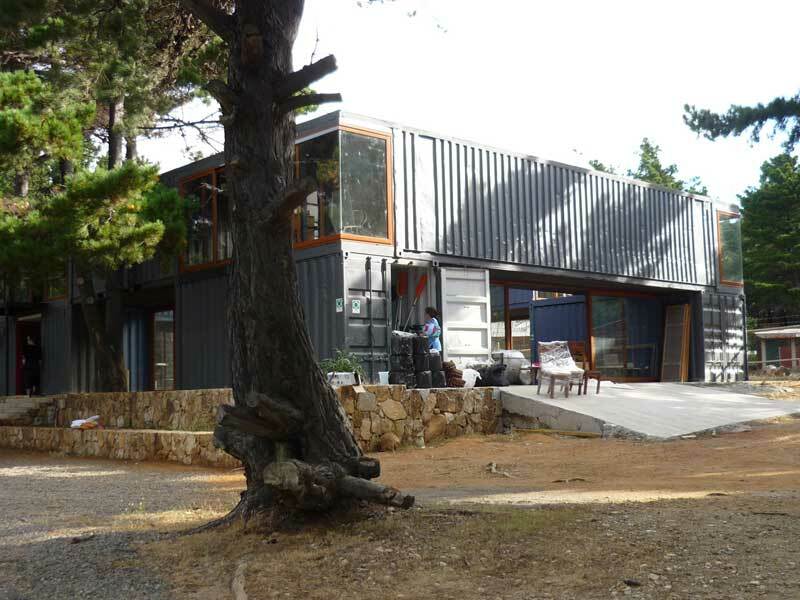 Curaumilla Arts Center studio, made from recycled shipping containers. I haven’t been in my own studio much. Holiday break was spent catching up and trying to prep things for school, which began spring term w/o me – thanks to my excellent colleagues Nan Smith, Anna Calluori Holcombe, our invaluable tech Ray Gonzales, and the energetic TAs who took over my classes for the first 2 weeks, Marty Fielding and Cheyenne Rudolph. 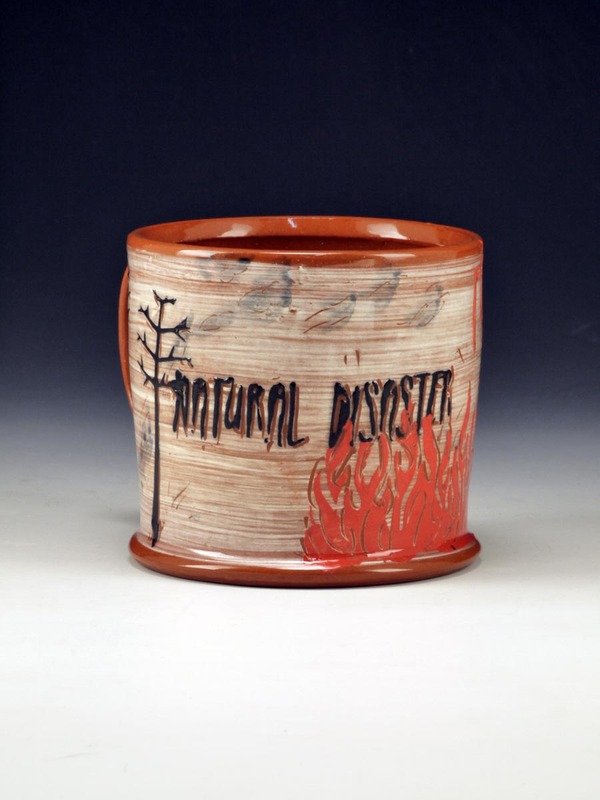 Both are accomplished potters with studio experience before returning to grad school. I’m working on getting some of the A.R.T. products, but spring term is crazymadbusy, and I’m 2 weeks behind. On the personal front, I’m still pursuing a cure for my persistent Lyme disease, now going on over a year. I’m seeing a specialist in Tampa, 2 hours away, and he seems well-informed and plans to have me back on I.V. antibiotics soon. Not hard, but it all takes more time. So, the results of product testing will be slow in coming, but I’ll post when I get there. I hope anyone with other news on solutions will comment. I’m thinking I just need to mix so I don’t have to change again if a product disappears, but for workshops, the commercial products are so easy. The International Academy of Ceramics had its biennial Assembly in Santa Fe last week. The last 2 were Shanghai and Paris, but sadly I was dealing with knee problems and not traveling. Very glad that with the help of my ace trainer, Kris Gibson, I’m able to bend my knees again and travel to my first IAC Assembly. It was a challenge to meet so many new people, and I learned many things and made new friends in clay. I was particularly taken by Rose Bean’s insights about being both a native American with a strong tradition and background as well as a university-trained artist (RISD MFA), and the pulls from those different directions. She was wonderfully articulate and candid, and her remarks were deeply thoughtful. Museum shows offered much to see. One of my favorites was It’s About Time: 14,000 years of Art in New Mexico Art at the New Mexico Museum of Art. Nice use of information to place things in context. 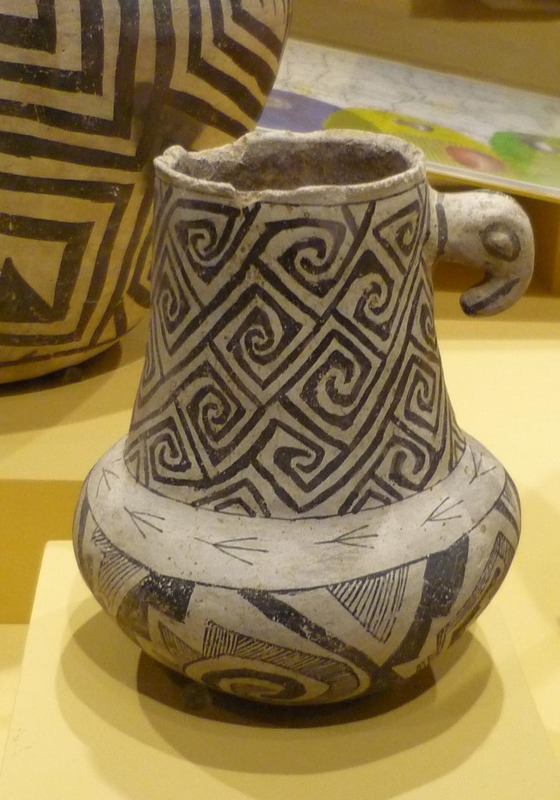 They had some pots from the anthropology museum that I suspect were not thought of as the best art, but more as examples of something cultural. But the works were a bit more rugged with charming hand quality, and seemed looser and more expressive than some of the works chosen as high art. Image below circa 925-1125 CE. Museum of Indian Arts & Culture/Laboratory of Anthropology.